The Jules Maeght Gallery is proud to present DAVE EGGERS: IDAHO, a solo exhibition of newly commissioned work made speci cally for the gallery space and organized by Jules Maeght and Natasha Boas. Eggers has been known for his works on paper and wood that usually involve renderings of animals paired with text. 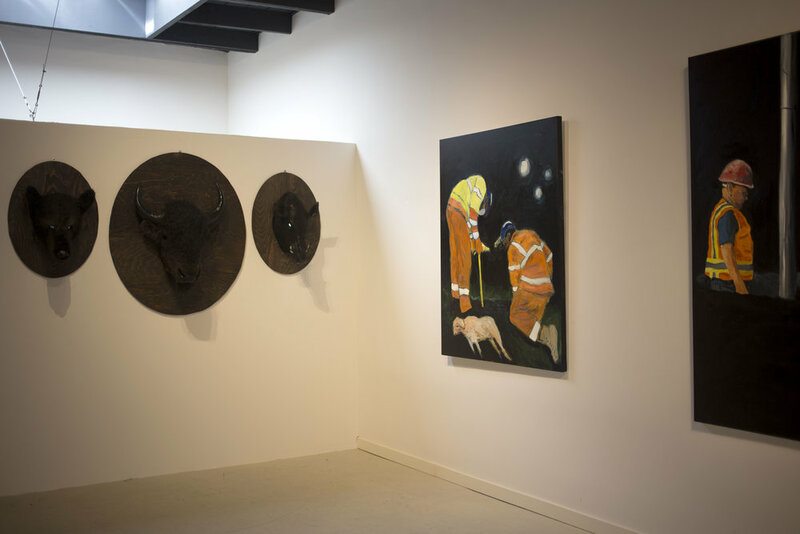 This new show at the Jules Maeght Gallery vastly expands Eggers’ repertoire to include sculptures made of steel and fur, interactive kinetic works, oil on canvas, acrylic on wood, and installation. Using the loose theme of Idaho as a starting point, the show will invite viewers to participate. “There will be a number of pieces that people can interact with, including the pedicab”. For the show, Eggers has converted a working pedicab into an operable sculpture made of reclaimed steel. 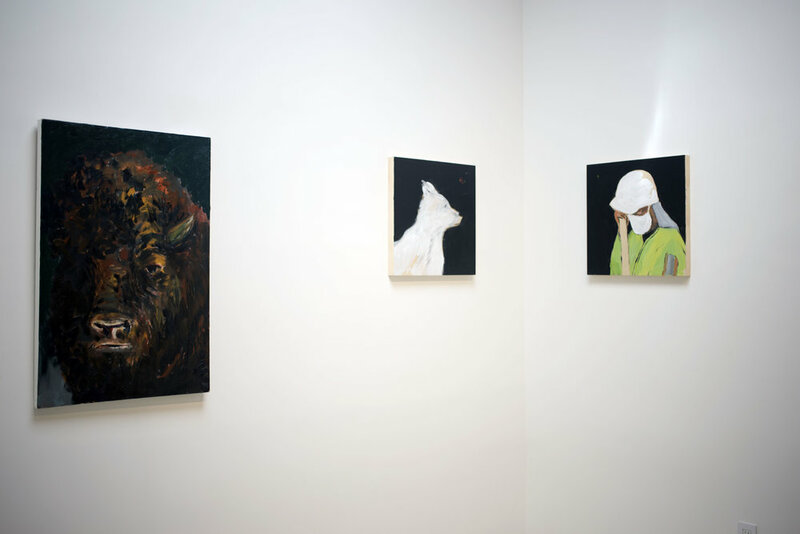 The show will also feature large-scale oil paintings, a multi-panel narrative work, and a wall of mounted animal heads. “The taxidermy will be a little different than what you expect,” Eggers says. The animals will appear lifelike and will have an interactive element, but do not use any animal matter. As part of his exploration of new media, Eggers created a limited-edition lithograph, printed at the Paris ARTE/Maeght print shop. This lithograph, which follows Eggers’ animal and text style, is the third original edition edited by Jules Maeght Gallery. All editions are produced in the same tradition of quality as all Maeght editions since 1932. They are printed by master print-makers in the ARTE/ Maeght studio in Paris on the same renowned 1904 press used for historic collaborations with artists such as Joan Miró, Alexander Calder, Marc Chagall, Antoni Tàpies and many others. As is the case with all Eggers’s art work, all artist proceeds from the show will go to ScholarMatch, a nonpro t college-access organization based in the Mission District. For most of his youth, author and editor Dave Eggers was an aspiring painter, studying at the Art Institute of Chicago and the University of Illinois. He spent time as a curator, art writer, designer and illustrator. Eggers is widely known as a San Francisco-based writer of six critically acclaimed books, including The Circle, A Hologram for the King, and What Is the What. He is known for his literacy advocacy, in particular for 826 National, the network of non-pro t writing and tutoring centers across the country. He is also co-founder of the publishing house McSweeney’s, and Voice of Witness, a series of books that use oral history to illuminate human rights crises around the world. Actively engaged in an art and graphic design practice, Eggers had a solo gallery show at Electric Works, San Francisco, in 2010, called It Is Right to Draw Their Fur. In 2015 Eggers had his rst solo museum exhibition at the Nevada Museum of Art called The Insufferable Throne of God curated by Joanne Northrup. A selection of Eggers’ works on paper will be on display at the Museum of Contemporary Art Detroit in Mike Kelley’s Mobile Homestead, opening January 15, 2016. 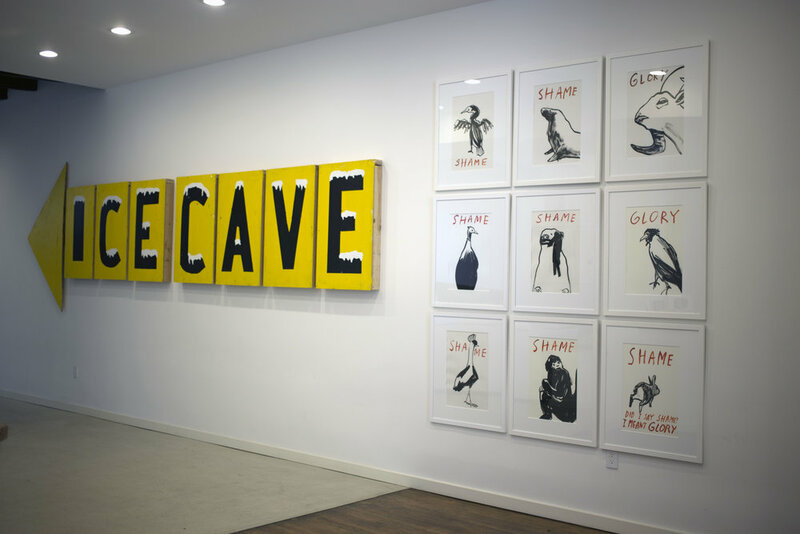 Dave Eggers is represented by Electric Works, a ne art gallery in San Francisco and is having his rst mixed-media solo show at Jules Maeght Gallery.